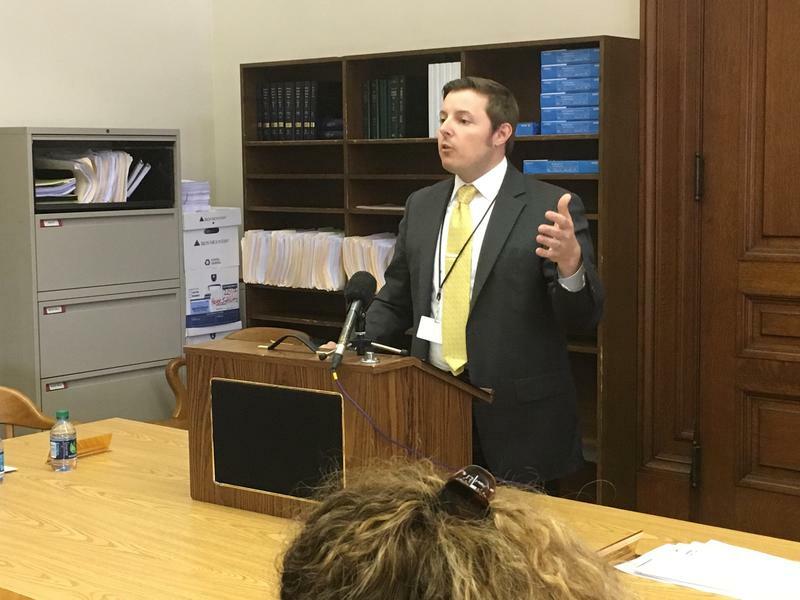 Environmental Advocacy Group Opposes Proposed Statewide Plastic Bag Ban - Crown Poly, Inc.
Rhode Island’s Clean Water Action State Director John Berard tetsifying against the Plastic Waste Reduction Act. Rhode Island’s Clean Water Action is against a bill that would ban plastic bags statewide. John Berard, state director for the group, testified at a hearing at the Statehouse Wednesday that the bill doesn’t address the root of the plastic bag problem. “It just mandates that this destructive single-use item be made from recyclable material, and so it’s putting like a green stamp on something that’s not green whatsoever,” Berard said. The Plastic Waste Reduction Act, introduced by Democratic House Majority Whip John Edwards of Portsmouth, would require businesses to only use plastic bags made of at least 20 percent recycled material or 100 percent recyclable paper bags. Berard said the ban does nothing to reduce the amount of plastic bags being produced and consumed. He said if plastic bags continue to be used, they’ll continue to jam up the gears of the state’s materials recycling facility and pollute the streets and waterways. Berard said right now, the bill just incentivizes a switch from plastic to paper. He said that’s a problem because paper bags cost more for small businesses to buy and have a larger carbon footprint during their production than plastic bags. Berard said the bill would also prevent municipalities from passing their own, more stringent plastic bag policies. He said the state needs a bill that encourages the use of reusable bags and moves away from the production and consumption of disposable bags altogether. No organizations came out in support of the plastic bag ban at Wednesday’s hearing. Barrington, Newport and Middletown have passed their own plastic bag bans. Statewide bans have been introduced for the past several years.